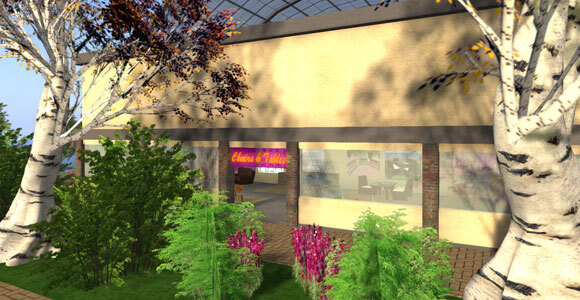 Sited in Zamunda, the shopping region of Endivatomic world, "Chairs&Tables" it's the first furniture shop where the visitor can find original freebies made by Endivatomic's users. All items are give in scripted and no-script mode. As signaled inside the shop, the scripts are made for Opensimulator grids and they require osFunctions to be enabled to correctly work. Most of the animations contained in chairs, benches and sofa are made from Endivatomic's users, the others come from the famous Linda Kellie's production (see zadaroo.com). <<sometimes we feel creative and if you want to see more deeply our creativity, you can come to see our little shop and also use that time to visit our grid>> said one of the creators and she added <<you will be welcome and we will be happy to offer you a coffee usually between 23:00 to 1:00>> (EU time).